University of Michigan Press, 9780472068975, 184pp. 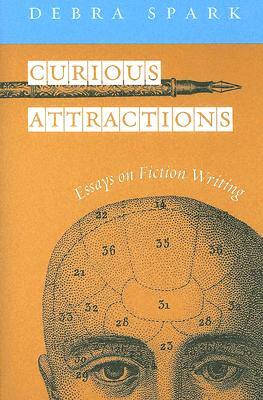 Curious Attractions: Essays on Fiction Writing is a book about what makes fiction work. In nine entertaining and instructive essays, novelist and master teacher Debra Spark pursues key questions that face both aspiring and accomplished writers, including: How does a writer find inspiration? What makes a story's closing line resonate? How can a writer "get" style? Where should an author "stand" in relation to his or her characters? When she was only twenty-three, Debra Spark's best-selling anthology 20 Under 30 introduced readers to some of today's best writers, including David Leavitt, Susan Minot, Lorrie Moore, Ann Patchett, and Mona Simpson. Almost twenty years later, Spark brings this same keen critical eye to Curious Attractions, discussing a broad range of authors from multiple genres and generations. A collection of essays in the belles-lettres tradition, Curious Attractions offers lively and instructive discussions of craft flavored with autobiographical reflections and commentary on world events. Throughout, Spark's voice is warm, articulate, and engaging as it provides valuable insights to readers and writers alike.